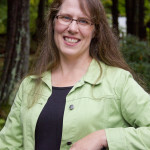 Please welcome Meadow Rue Merrill to the blog! As a young child growing up with a single mom I had my share of hurts—the lack of security that came from not having an involved father, the feeling of not fitting in with my peers at school, the frequent moves that made me an everlasting outsider. In many ways, this early rejection opened my hurting heart to Jesus, who I first heard about in first-grade. Here was the father figure I’d never had, one who was loving and gentle and kind. One who treasured me. One I could trust. Through my relationship with Christ, involvement in church, and my mom’s own pursuit of Christianity, I came to know and trust God. I believed that he was actively involved in the world, that he had a purpose for my life, that he protected me, and that he was—and is—all powerful and supremely good. As a result, I gave my life to following him, knowing that nothing could separate me from his love. What I didn’t know was that God’s purposes are often different from mine and that his power and love often reveal themselves in ways I can’t wholly understand. Trusting God involves a full surrender of the soul, will, mind. 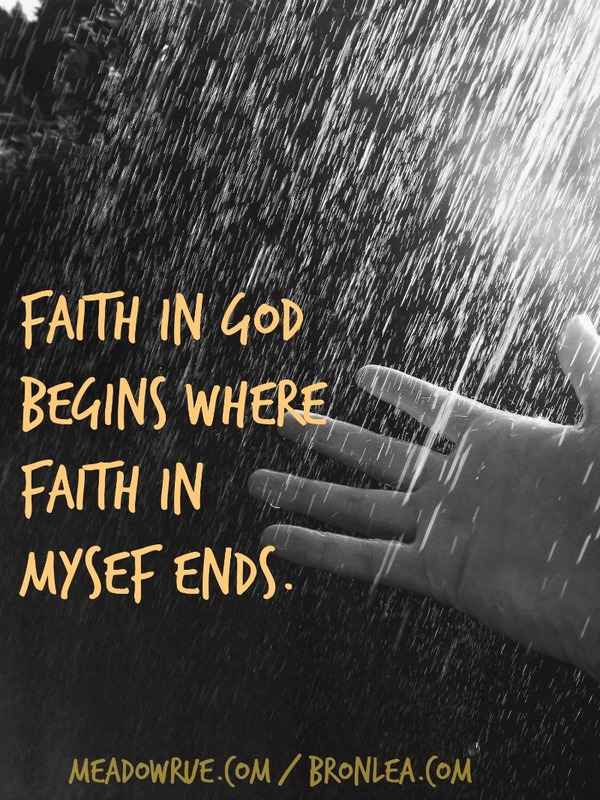 Or put differently, “Faith in God begins where faith in myself ends.” More than trusting God when it suits me, I am called to trust him unconditionally. It is not about God serving me, but about me serving God. Accepting this is fundamental if I am to continue trusting God when my life—and the lives of those I love—don’t go according to my plan. God’s purposes are greater than I can comprehend. To continue trusting in the midst of suffering, I must look up and acknowledge who is God. Hint no. 1: it’s not me. So what does this type of trust look like? I’ll share a story. 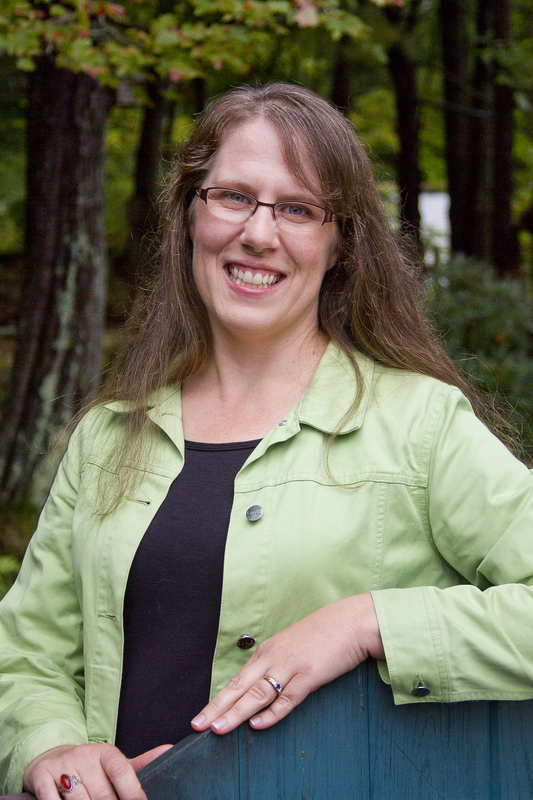 During the last five years of her life, my mom lived in a historic Christian community in Willimantic, Connecticut. Each summer, for more than 150 years they’ve held outdoor evangelistic services or “camp meetings.” Last July, the week my mom was diagnosed with cancer, was camp meeting week. The news was overwhelming. Mom was too tired to attend, but after spending some time with her, I walked down the gravel path from my mom’s cottage to the outdoor pavilion and sat on a back bench. In that moment I had a choice. I could either look at the diagnosis and despair or I could look to God. As a local worship team took the stage, I opened my mouth and raised my hands as I joined in praising God. This act of worship—this drawing near to God—lightened the burden of my suffering as I openly declared my trust that even in this, God was still all powerful, still supremely good, and still had a plan for my mom’s life and mine. At some point each of us will face a grim diagnosis for ourselves or someone we love. But in choosing to look to God, I knew that we were still held by God and his plans for us were good. Do I wish that God had miraculously healed her here? Absolutely. But even though he didn’t, when my mom took her final breath, God graciously allowed me to be with her, and I was comforted by knowing that she was with the one who loved her best. What never ceases to amaze me is how God can take bad things–like brokenness and disease–and transform them into something good. Even knowing that, though, it’s still hard for me to trust Him sometime. Thanks for the encouragement! “with the one who loves her best” – that is a comfort I’ve been grateful for too.